Home Drugs and Pharmacy Does Toothpaste Expire? We’ve all been there. We’ve all got carried away by the buy-one-get-one-free offers at the supermarket buying too many of something just because it was on special offer and seemed like a great deal. Toothpaste is one of those things that many people buy in bulk, normally because it’s always on the sale at the grocery store, but you should be aware of something quite important before you go bulk-buying your favorite stuff. Does ToothPaste Have An Expiry Date? You might be quite shocked to learn that the answer is YES. Toothpaste DOES have an expiry date. An expiration date isn’t an exact science. It is a ‘guess’ of sort (albeit an educated one) from experts who suggest a general guidelines for the shelf life of certain products. Colgate suggests that its toothpastes are good for use for up to 18 months after the expiration date on the tube, and that expiration date is 24 months from the date the product was first manufactured. There are two marks you will want to see on your toothpaste. One of these is from the American Dental Association which is required to list the expiration date. The other is FDA classification which categorizes it under cosmetics and these need to have not only the list of active ingredients but also the expiration date. What Happens When Toothpaste Expires? There is an active ingredient in toothpaste which is what gives it that suggested expiration date and that is fluoride. After about two years, it is suggested that the fluoride starts to lose its stability and the various ingredients used to make it up can separate to form crystals. One side effect of this will be that the flavor diminishes and also the consistency of the toothpaste itself can change, thickening or becoming lumpy. Sometimes it can become very runny. 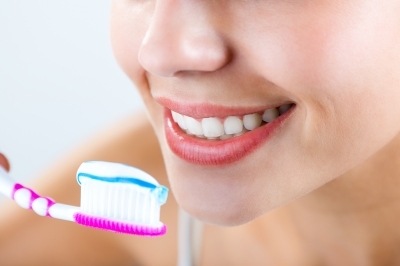 Experts say that the fluoride effectiveness cannot be guaranteed after two years, when the formation of the toothpaste changes. Although it does not cause you any harm, you won’t be getting the same properties from it as you would do if it were in date. When fluoride loses its effectiveness, your teeth can lose the protection it had from plaque, decay and more. You are also losing the effectiveness of the cleaning agents also meaning your stain won’t be as clean or as white as they used to be. You’ll also run the risk of suffering with bad breath because there is still rotting food in your mouth. Luckily, not all is lost with your tube of expired toothpaste. There are lots of ways the stuff can come in handy and as well as having links to acne or spot / zit protection, there are quite a few ways in which you can use it around the house. With baking soda and silica in the recipe, toothpaste makes the perfect natural cleaning agent for your sink and bath. Using a cleaning brush or abrasive sponge as you normally would, simply use the expired toothpaste in place of your regular cleaning agent and it’ll bring your sink, taps, bath and more to a bright, sparkling clean. The baking soda compounds also make for a great odor-buster too. Consider cleaning your toilet with baking soda expired toothpaste to bust the grime and stench all in one. You could also use it in the place of your regular cleaning agents for your hands when you have been working with smelly food to help counteract it. There are many ways you can use expired toothpaste from cleaning crayon marks off the wall to buffing up old leather shoes, cleaning the oven, getting the gum off the bottom of the iron, and more! There’s no need to use expired stuff when all those multi-buy offers are going on. Get scrubbing and make your kitchen sparkle or use it to bring life to vintage kicks instead. Previous articleHow Much Should a 13 Year Old Weigh? Next articleDoes Walking Induce Labor?